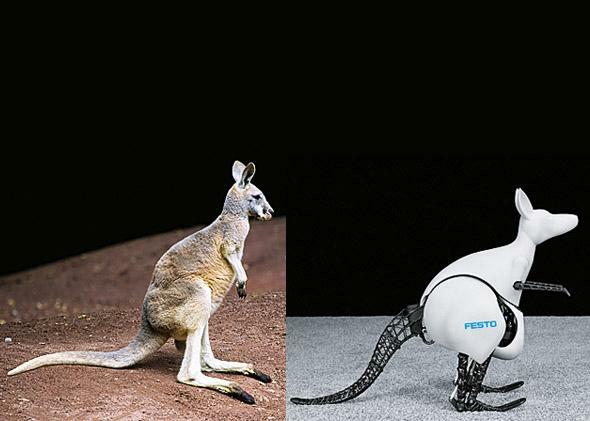 BionicKangaroo made by Festo actually looks like a Kangaroo. Can you tell the real kangaroo from the BionicKangaroo? Okay yeah, they look different. Fine. But it’s pretty close, right? It’s great, right? 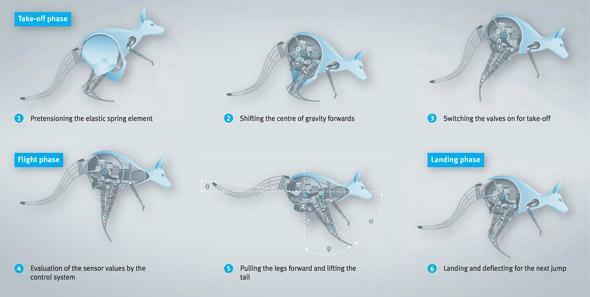 The BionicKangaroo is made by the automation technology company Festo, and the robot really nails the biological motion of the kangaroo. The jumps and landings are stable, and, like a living kangaroo, the robot recovers kinetic energy from each jump to store and use in the next hop. But there’s something else. The BionicKangaroo doesn’t just minimally replicate the physics of a kangaroo’s jump. The robot’s movements seem innate like an animal’s, instead of jerky and imposed. And it doesn’t seem like Festo had any particular goal in making the BionicKangaroo other than doing research into pneumatic and electrical systems, which makes the whole thing even better. BionicKangaroo is appealing, not creepy, which is enough of an achievement.